Buy iBall Piano 423 4-Port USB Hub for PC in India at the best price. Screenshots, videos, reviews available. Laptop means portable computing. But when back on your desk, you need all the peripherals to be performing with your laptop. Plugging/connecting each peripherals every time is tiring and cumbersome. 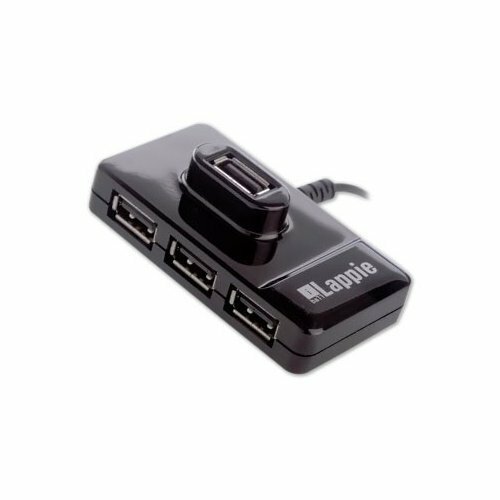 iBall Lappie USB Hubs lets you connect all peripherals easily and makes life comfortable. All you need is just one USB connection to your laptop to make everything ready! This product is warranteed for a period of 12 months from the date of purchase. Note: Replacement/repair of products under warranty is the responsibility of the principal company. The standard warranty policies of the product vendor will apply to all products sold at nextworld.in. Time taken to repair/replace the product will vary from vendor to vendor. Physically damaged products are not covered under warranty.